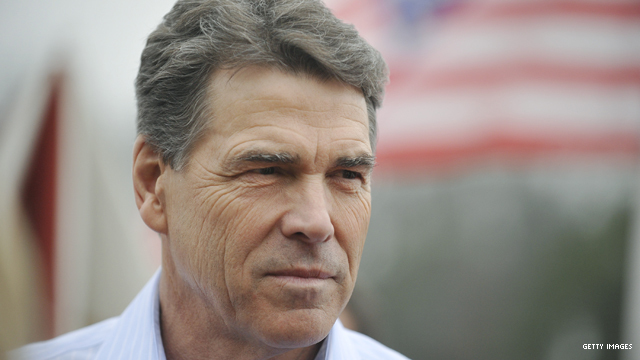 Columbia, South Carolina (CNN) - One of Rick Perry's leading financial supporters in South Carolina is defecting to Mitt Romney – and he told CNN Thursday that Perry's sharp criticisms of Romney as a "vulture capitalist" were the main factor in his decision. Both Perry and Newt Gingrich recently began hammering Romney as a predatory capitalist who looted companies and fired workers when he was running the private equity firm Bain Capital in the 1980s and 1990s. Barry Wynn, the former chairman of the South Carolina Republican Party and a financial adviser in Spartanburg, said the escalating rhetoric about Romney's business background is "destructive." "It's just a dance I didn't want to be a part of," Wynn said in an interview, explaining his decision to leave Perry's campaign. Wynn, along with a handful of other previously neutral South Carolina moneymen, will publicly endorse Romney on Thursday. "This latest attack, it's so foreign to me, I couldn't see myself being a part of that," he explained. "I don't think you can be on both sides of free market capitalism. A big part of me being a Republican for the last 40 years is that I think it's the best hope to protect free market capitalism, the growth engine of our economy." Wynn was part of a group of Republican bundlers who traveled to Texas last August to meet with Perry before he launched his presidential bid. But he said the Texas governor's latest message is contrary to "everything that Republicans have been struggling for." "It's hard enough to make that case for capitalism, and to have people in our own party attacking the case, it's not good for the party or good for the country," he said. "It kind of falls into this politics of envy that the Obama campaign is going to be all about between now and November." Romney met with Wynn on Thursday morning after his event in Greer. Wynn said he has always admired the former Massachusetts governor's business background. Wow! One of your donors dumps you for speaking the truth. What else can you expect in today's modern day G.O.BP. The only thing this tells me is the donor is ah crook as well! He's looking for kick backs if Romneys elected! People do things for ah reason . I don't think we have ah love my country situation here! OK, so where's the suprise that an extremely rich capitalist, who got rich at the expense of middle and working class americans, would be upset that Perry pointed out Romney is an extremely rich capitalist who got rich at the expense of middle and working class americans. People like Romney are in politics to make sure therr rich friends get richer no matter what it costs the rest of us.They look at countrys like China and salivate at the idea of America becoming a country with millions of low wage workers and the rich, period. Paying workers a decent wage really cuts into the profit margin doesn't it. Wonder what the wage range at STAPLES is? Bet it ain't much. Hey Rick. Time to fold up the tents and head back to Texas.